This is a superb, sixty track compilation of the best of the seventies urban funk genre that went hand in hand with the cinema genre of "blaxploitation". Not all the usual suspects are on here - lots of them, but not all, and there are some comparative rarities too. Importantly, the sound is outstanding - speaker-shakingly bassy. Just check out Curtis Mayfield's "Pusherman" played through a deep, bass-heavy system. It sounds revelatory. 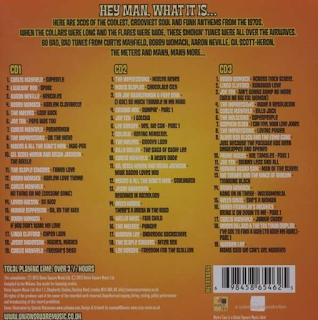 I won't list all the sixty tracks but I will correct the listing in that CD 1 Track 10 is "Cholly (Funk Getting Ready To Roll)" by Funkadelic; CD 2 Track 3 is "One Nation Under A Groove" also by Funkadelic and CD 3 Track 16 is "Oh, I" by, guess who - Funkadelic. Quite why the original label listing does not show these three Funkadelic tracks in unclear. 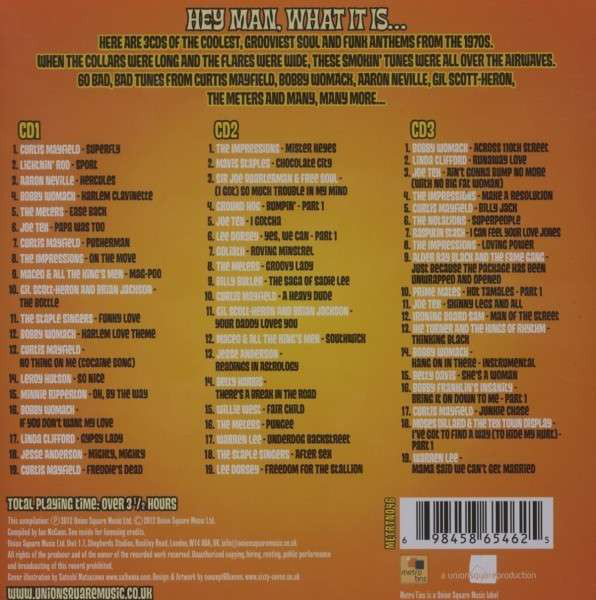 Anyway, there are twenty tracks on each CD. Sixty in total. 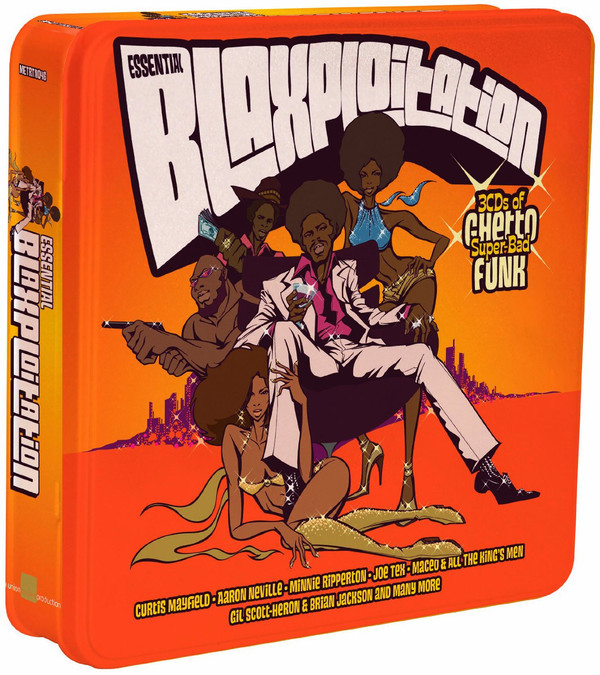 Highlights are the well-known cuts like "Superfly", "Pusherman" and "Freddie's Dead" by Curtis Mayfield; "Across 110th Street" by Bobby Womack; The Staple Singers' "Funky Love"; "Hercules" by Aaron Neville; "Ease Back" by The Meters; "The Bottle" by Gil-Scott-Heron; the heavy, funky pound of "Bumpin' Part 1" by Ground Hog; the soulful "She's A Woman" by Betty Davis and the chart funk of Joe Tex's "Ain't Gonna Bump No More (With No Big Fat Woman)". There are too many to mention, really, not a duff track in the set. You can dip into it at random and always be guaranteed to enjoy it.